Stop by on Saturday to browse through our yarns and accessories. 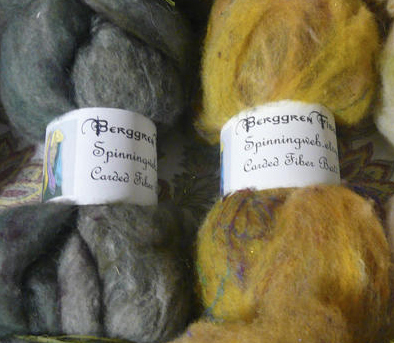 We’re featuring yarns from local fiber artists Troy Berggren, Jennifer Adair and others. Check out the latest Namaste bags and the hot, new circular organizers. We’re open Saturday from 10:00 to 4:00. This entry was posted in local fiber artists and tagged knitting, spinning, yarn. Bookmark the permalink. I’m looking forward to your store opening; it looks lovely from the window!